New! 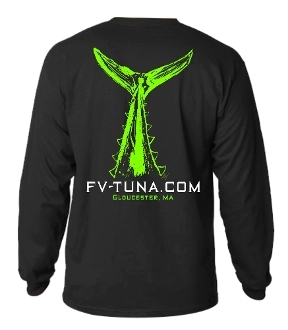 Hand drawn tuna tail long sleeve t-shirt , 100% cotton pre-shrunk. Printed on the front and back with fluorescent and white ink.